I recently decided I am exactly like an Ophthamologist. Except I only vaguely understand how the eye works and I don’t have the first clue what those numbers on my contact lens prescription mean. I don’t have a PhD and I don’t wear a lab coat. Ever. But still…I am a lot like an Ophthamologist because I am a coach. And a darn good one at that. If you have ever worn glasses or contacts, you probably remember the first time you got those glasses and suddenly the world looked very different. You could see leaves on trees. You always knew trees had leaves but you didn’t realize most people could see them while riding in a car. You could see the board at school again and the TV looked so HD even though it was the 80’s and HD hadn’t been invented yet. It was an exciting day wasn’t it? I’ve also come to understand on a profound level that every single perspective problem we have comes from the voice of fear that resides within us. The voice of fear is a direct result of the amnesia and this voice, which believes it is serving us, is on the look out for imagined danger. Its’ job is to constantly suspect that something is wrong with either us or with our lives. When the voice of fear tells you something is wrong with you, it is lying and you are due for new glasses if you tend to believe what its’ saying. There is nothing wrong with you. In fact your value is beyond what you can comprehend. Exactly as you are. It’s one thing for me to believe that, but as a coach, I get the honor of helping people truly believe it about themselves. It’s very powerful work. When the voice of fear tells you your life is not as it should be, or that you might not have enough, or that something has or could go wrong and you should be worried, it’s also lying. When you get new lenses you’ll see things differently. You’ll see that everything is exactly as it should be. And I don’t expect you to take my word for it. That truth lives inside you already and when you do the work to tap into it, you’ll recognize it as your true home. When I get to coach people to see this, it’s always the best part of my day. 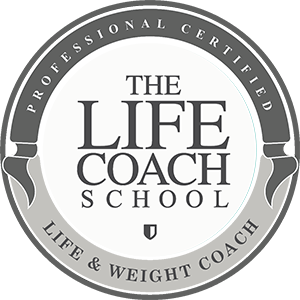 Life Coaching is not a regulated industry. That means anyone can call himself or herself a coach and you have no idea what you’re going to get. So when people hear I am a coach and then look confused, I don’t blame them. Maybe I should start telling them I’m basically like an Ophthamologist who helps you see yourself and your life the way it truly is instead of the way you’ve been viewing it with your foggy lenses your entire life. It’s not your fault. No matter how wonderful your parents are or how perfect your upbringing, we all still develop the foggy lenses and it’s ok. It’s part of how this works. 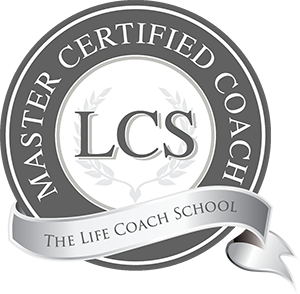 But coaching has done more to help me embrace my true value, to understand my religion, to minimize resistance in my life, to feel more connected to other people, and to live a life of intention than anything else ever. That’s why I do this work and why I keep showing up in your inbox, your Facebook feed, and your Instagram account hoping to give you a glimpse of what it looks like when you get new glasses. I should warn you there is a lot to this work and it requires a great deal of effort on the part of my clients. See, even though the voice of fear doesn’t serve anyone or feel good, it’s familiar. And familiarity wins out over self-actualization for most people in the world today. So as a coach, I take people on the journey of letting go of familiarity and discovering that something so much better exists on the other side. The ones who are willing to do the work, be uncomfortable, and try looking through a new lens are forever changed and I am lucky enough to get to witness it. I have the best job ever. There were many big takeaways for me. Here are a few that stand out the most to me. The idea of processing rather than resisting my emotions has been huge for me. It has been a big deal to allow myself to feel emotions and be compassionate with myself rather than putting myself down. Also, realizing that if I believably change the meaning I can change how I feel and be empowered. There is no downside there. It has been big for me to realize that if I’m not afraid of emotions, I am less afraid of life in general. This has been a wonderful, life-changing journey for me. I have shared what I’ve learned with my mom and aunt, who have soaked this stuff up like a sponge. This is stuff that women crave and need. We live in a world where flaws are not shown and perfection is assumed. It can be so discouraging. These sessions have lifted my burden. If you are seeking ease and familiarity in life, that’s a perfectly fine way to live. But if you are the type of person who craves growth and suspects that with a little help, you could be ten times the person you are now, CLICK HERE to learn more about working with me! Hey there Emily. Thanks for reading and listening. I’m glad it’s helping and how kind of your boys to give you chances to implement and grow. 🙂 Let me know if you have questions I can help with.